The acclaimed University of Minnesota cold hardy grape breeding program will soon be announcing a new white wine grape, according to Peter Hemstad, at the University’s Horticultural Research Center near Minneapolis. This new grape, which is currently known only by a number, is the first Minnesota grape released since Marquette in 2006. Peter Hemstad, along with his colleague Jim Luby, have revolutionized grape breeding with their work for the the University of Minnesota. “We’re very excited about this new grape,” Hemstad said. “The reaction has been very positive and it has excellent potential.” According to Hemstad, selected nurseries are already propagating the grape which fills a niche that current white hybrid wine grapes don’t currently occupy. Like other University of Minnesota grapes, the new white wine grape took approximately 15 years to develop. “Last winter was a real stress test and it (the new cultivar) came through just fine,” Hemstad said. He added that more information about the grape, including the name, would be forthcoming during the first quarter of 2015. On January 18th, 2015 there will be an event at the Minnesota Landscape Arboretum in Chaska where more details about the new member of the Minnesota grape family will be released. University of Minnesota grapes all contain some V. Riparia parentage. Riparia is native to North America and is extremely cold hardy and disease and pest resistant. However, a wine made solely from Riparia grapes would be undrinkable. What’s remarkable about the University of Minnesota hybrids is how the breeders combine the durability of native grapes with the savoir faire of traditional European varietals. Here’s a brief rundown of the cold hardy wine grapes already released by the University of Minnesota and their current status. Frontenac– The University’s first licensed wine grape, released in 1996. This durable grape is cold tolerant to -33F and produces a bountiful crop in the Midwest, New England and Quebec. Acidity is an issue with Frontenac, but many winemakers have learned to make excellent port and blush wines with this workhorse grape. Marquette– The current best seller of the Minnesota grapes. Marquette has a very complex parentage that includes Pinot Noir. Also produces a very complex wine that wins awards and completely sells out each vintage. Coyote Moon Vineyards in New York won a Best of Class award for their Marquette at the San Francisco Chronicle Wine Competition, the largest wine competition in the United States. Frontenac Gris– This white version of Frontenac was introduced in 2003. Frontenac Gris is mutation of Frontenac that was discovered by Hemstad at the University’s Horticultural Research Center. Frontenac is now made in many styles across the Midwest, including sparkling, rose and ice wine. La Crescent– Arguably the most vinifera like hybrid ever. This grape was introduced in 20o2 and is largely derived from Elmer Swenson varietals like St. Pepin. Unfortunately, La Crescent is hard to grow. If you see a bottle at a winery, buy it. Frontenac Blanc- A mutation of Frontenac Gris that was first observed in Quebec during 2005. Unlike the other Frontenac grapes, the University of Minnesota does not own the rights to Frontenac Blanc. The grape is also not currently approved to appear on a wine label by the TTB. However, more wineries are making convention defying wines from Frontenac Blanc. New grapes are not the only recent developments at the University of Minnesota. The University is currently seeking a regular faculty, Ph.D. position in the Horticultural Science department. This new job title appears to have supervisory authority over both viticulture and enology, which is a departure from the historic structure of the University’s grape breeding program. 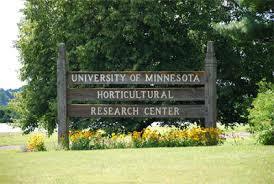 There have also been some notable recent departures from Minnesota’s Horticultural Research Center. Katie Cook, the University’s enology project leader since 2010, and her husband are now both with Herman J. Wiemer Vineyard, one of the premier winemakers in the Finger Lakes. 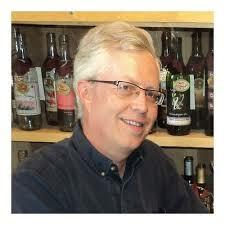 University of Minnesota wine scientist Nick Smith also left the University shortly after Cook to take a wine making position at Four Daughter’s Winery in Minnesota. Wow, that’s good news! I’m anxious to hear more about this. Keep us posted!